Saudi Arabia has denied accusations of pirating the broadcast of World Cup games for which Qatar-based beIN Sports network holds the regional rights. Saud Al Qahtani, a senior adviser to Saudi Crown Prince Mohammed bin Salman, called the piracy charges "baseless" and "unfounded". 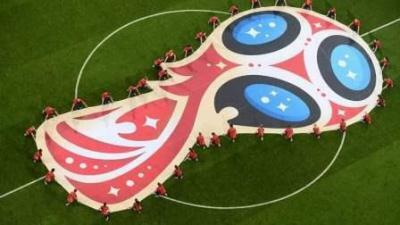 Last week, soccer's governing body Fifa accused television channel BeoutQ of illegally broadcasting the opening games of the World Cup. Fifa said it was "exploring all options to stop the infringement of its rights, including in relation to action against legitimate organisations that are seen to support such illegal activities". Global sports network beIN Sports is blocked in Saudi Arabia under a boycott the kingdom and other Arab countries imposed on Qatar a year ago over its alleged support of terrorism. Qahtani's comments were directed at Qatar rather than addressing Fifa's accusations, but he said the matter should be resolved by the sport's international governing bodies. "These accusations are nothing but the latest attempt by Qatar to divert attention from their own malfeasance by pivoting discussion towards sports," he said in comments late on Thursday. "Qatari authorities have failed to provide any evidence at all to validate these accusations." Qahtani said Saudi Arabia did not tolerate any infringement of intellectual property rights. "It respects the importance of protecting intellectual rights and abiding by international conventions in this regard," he said. "The Saudi authorities will continue their efforts to combat piracy and protect intellectual property and broadcasting rights."